The relationship of England and Scotland became defined by events on 9 September 1513 in a battle of great size, bloodshed and finality - the Battle of Flodden. In 1509 the young Henry VIII renewed his father's Treaty of Perpetual Peace with Scotland. Yet by 1511 he was already planning an invasion of France, Scotland's traditional ally. Over the next two years, the King of Scots, James IV, resisted both the threats of Henry VIII and the blandishments of Louis XII of France. But in 1513 he was forced to choose. In FATAL RIVALRY, George Goodwin, the bestselling author of FATAL COLOURS, captures the vibrant Renaissance splendour of the royal courts of England and Scotland, with their new wealth, innovation and artistic expression. He shows how the wily Henry VII, far from the miser king of tradition, spent vast sums to secure his throne and to elevate the monarchy to a new magnificence. He demonstrates how James IV competed with the older Henry, even claiming Arthurian legend to support Scottish independence. Such rivalry served as a substitute for war - until Henry VIII's belligerence forced the real thing. As England and Scotland move towards their biggest ever battle, Goodwin deftly deploys a sparkling cast of characters. There are manoeuvring ministers, cynical foreign allies, conspiring cardinals, and contrasting queens in Katherine of Aragon and Margaret Tudor. 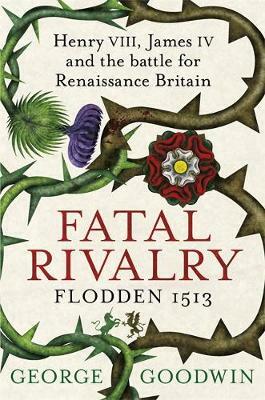 Finally, at Flodden on 9 September 1513, King James faces an old military foe. He seems poised for a crushing victory that will confirm his reputation - until that day at least - as Scotland's greatest king.